Philosophy begins in wonder. What am I? How can I know things? What is the best life for a human being? What is justice? What is truth? Philosophy is the attempt to understand and answer questions such as these in a rigorous, critical and open-ended manner. No belief is left unquestioned. No prejudice respected. No authority bowed to. Philosophy is unlike other disciplines. It is not learning what others have discovered. It is discovering how to learn, in a genuine and personal way, to use one’s own mind to think about oneself, the world and the relation between the two. What can I do with a philosophy degree? A lot. Philosophy may not prepare you for one specific career, but it is particularly good at preparing students for the variety of jobs and careers graduates are likely to have over a lifetime. 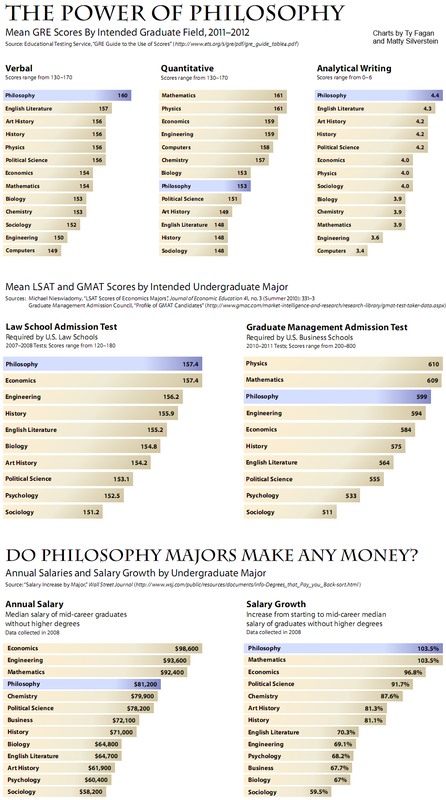 Philosophy majors do better, professionally and financially, than, for example, business, biology, marketing and political-science majors (don't believe us?). And if you are considering going on to graduate school, philosophy majors score higher than any other major on the GRE and are in the top ranks for the LSAT, GMAT and MCAT. Already have a major? If you want to think more deeply, more critically, from different perspectives, about the things you learn in your major, the philosophy minor is for you. A philosophy minor (only 21 credits) is a great match for majors such as biology, physics, psychology, political science, sociology and anthropology. We also offer a minor in religious studies, in case you would like to critically examine the world’s various religious traditions. "The MSU Denver Philosophy Department is exceptional. The instruction is thorough, and the professors are extremely supportive of their students’ success. Through the Philosophy Department, I’ve honed my knowledge and critical thinking skills. I’ve presented my work at conferences, and my growth as a student has been supported by the professors and the staff. I’m extremely happy with the department, and I’m glad that I chose MSU for my undergrad program." Our graduates are well-primed for graduate school and have gone on to have successful careers in law, education, public policy, medicine, politics, business, sales, and many other fields. "Inspired by my study of John Rawls 'Justice as Fairness' in the MSU Denver’s philosophy department, I went on to complete my law degree at DU’s Sturm College of Law. Thanks to my background in philosophy, I became distinguished in statutory interpretation and legal writing. My career consists almost entirely of using the skills I honed during my philosophy studies, untying complex system-wide "knots” and helping to remove barriers to health-related services for individuals throughout Colorado." The Denver Project for Humanistic Inquiry aims to enrich Denver’s intellectual and cultural life through programs designed to reframe our perspectives, challenge our assumptions, and stimulate dialogue about human thought, history, science, art and culture. The Undergraduate Women's Philosophy Conference provides a forum for the presentation of philosophical work by female-identified undergraduates and encourage community-building amongst female-identified philosophers and their male-identified allies.